Being a mum is my first and most important job; but my career is teaching in a primary school, which I now do part-time. 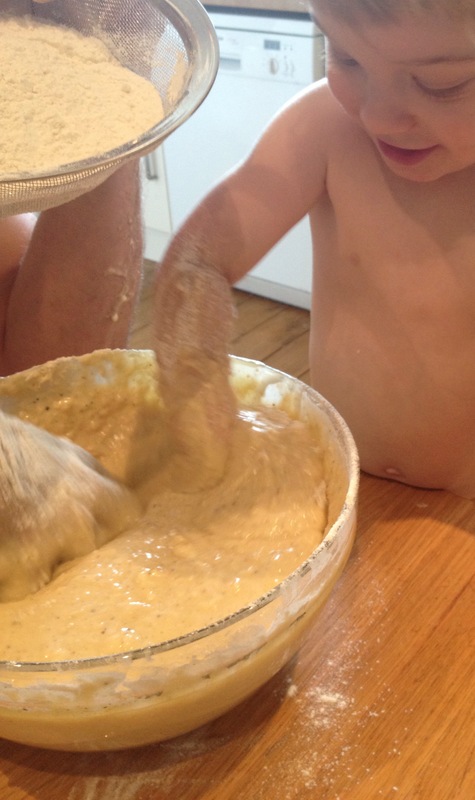 Teaching and baking were my twin passions before little man came into my life and took priority over everything (mums, you know what it’s like!). In an effort to share the love I have of baking (and cooking too), this year I have volunteered to run our school’s first cookery club! It’s mad really that we didn’t have one already up and running. We have a great dedicated cookery room with lots of space and facilities for a whole class full of children (up to 30) to get involved in producing some delicious grub. Up until now it has been used for small groups and occasionally whole class cookery. As teacher’s, we try to incorporate cookery and baking into our curriculum planning as much as we can, as it engages the children, deepens their learning through allowing them to be active and hands-on, and adds a cultural dimension to whichever subject it is a part of. For example, I made Harvest Loaves with my class as part of our study of Christianity in R.E. (Religious Education); and recently we did lots of cooking as part of our school’s ‘Spanish Day’. However, my vision is that this club will allow cooking and baking to become the main focus of the children’s learning, giving them the opportunity to master a comprehensive range of skills, as well as expanding their repertoire of recipes. Personal: Learning any skill and being able to apply it will give a person a sense of satisfaction, pride and self-worth. The many skills and techniques we master whilst cooking and baking are no different. Producing something nutritious that they have thought about and crafted will increase a children’s self-esteem and confidence and give them something to be proud of. As well as benefiting them on an emotional level, cookery is an important life skill. Learning how to produce a healthy, balanced meal, which tastes good is a skill a child can use throughout their life to sustain him/herself and later his family and friends. Social and Emotional: One of the first things I had to consider as a teacher responsible for children in the kitchen, and indeed as a mother cooking with my own child, was safety and hygiene. More often than not, it is paramount that children are under close supervision in the kitchen. What better excuse to spend quality time with your child than in producing healthy, delicious food together? As well as being a fantastic learning experience, the fact that cooking and baking are often shared activities between mother (or father, grandma, and so on…) and child, teacher and pupil, or amongst peers means that it has huge potential for helping to build bonds between people both socially, as will be the case among the children in my cookery club, and also emotionally, as is the case when I show my son how important he is to me by setting aside regular times when we can bake and have fun together. Fun and Enjoyment: Which leads me onto to another, more obvious reason why cookery is great for children – it’s fun! Children love to get messy, be put in charge of things, have a go themselves, learn new skills, watch things change (like cakes rising in the oven), and be involved in a process from beginning to end – cooking offers all of this, and more! Sharing and Community: You will have heard the adage – ‘cooking brings people together’ many a time; but for children this is an important aspect of making food. Many children see their parents cooking everyday, producing meals which are so central to family life; sustaining, nourishing, and gathering everyone around the table. To feel as if they are a part of this process is to give a child an important role within the family and this adds to the self-esteem boosting quality of cookery for children. At school, we often ask the children if they would like to share what they have made with children in other classes; their response is almost always ‘yes please!’ Sharing the fruits of their labour and receiving positive feedback is another way in which cooking and baking can raise children’s confidence. Cultural links: As I mentioned in my introduction, cooking at school can be linked closely to our studies of other countries, cultures and traditions (e.g. Spanish Day, Harvest Festival, etc.) I will never forget my wonderful Granny Bunzl inviting me round to show me how to make ‘vanilla kipferl’ from her closely guarded, family recipe. Every year at Christmas time, each branch of the family receives an old biscuit tin filled to bursting with these light, buttery, vanilla crescents; caked in a good few millimetres of icing sugar! We all love them and they have come to remind us all of Christmas itself. For a child, being entrusted with and taught recipes which have been handed down through generations; recipes which mean something to them and to their families; gives them a sense of belonging, of long-standing tradition and hints at the important concept of how cooking and baking evolves and continues but remains a fundamental part of our lives. These aspects of cooking are not only brought out through the handing down of family recipes but also through the sharing and teaching of religious and cultural traditions. I read an article recently in Delicious. magazine (September 2013 issue), about the importance of making Challah bread to one Jewish family, and how this weekly tradition had inspired their son to take up a career in baking. This shows how these types of cultural experiences resonate deeply within families and can help shape people’s lives. Physical development: Finally, the physical act of cooking; of stirring, chopping, beating, whisking, kneading, rolling, pressing, folding, pulling, pounding, grinding (…the list is endless!) is no small feat of learning in itself. The physical benefits of cooking and baking for a child, especially for young children (from pre-2 to 6), are often overlooked or forgotten; but all of these actions promote and require the development of both fine and gross motor skills. The more practice children get at these activities, the better they will become and these new skills will help them master other activities too. For example, the dexterity involved in rolling and shaping individual biscuits may lead to increased dexterity in other activities such as holding a pencil for writing or putting together small building bricks. The above by no means represents an exhaustive list of all the benefits of cooking with children. However, I believe it does show a wide range of ways in which children’s lives can be enriched by cooking and baking. Surely this in itself is the most important reason why we should make time to cook with our children? Cooking, kids, and school all really do go together so naturally! When I was teaching I looked for these opportunities myself – and was inevitably involved in food in one way or the other – as much as my situation (a massive, multicultural middle school) would allow. – Procedural writing and reading. Its the literary soul of the recipe, after all. Cooking is such an excellent way to teach this – the feedback is so immediate and visceral. -Science. OH my goodness there is so much here – from the biology of sourdough yeast to caramelization of sugars to scientific method. But biggest of all in this area is the ongoing potential for asking great questions. And finally…. perhaps for me the most significant of all – the crack in the door that it opens up to discuss food, and health with the parents. Keep the ideas rolling – hopefully the inevitable triage that results from being a parent AND teaching will not result in your blog being the first casualty.